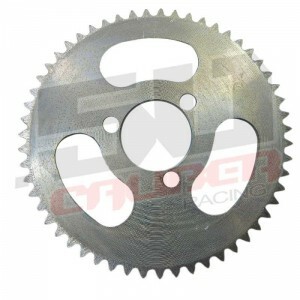 55 tooth sprocket that uses a 25h chain. This sprocket was used on many Scooter-X models over the years: the Dirt Dog, X-Racer, Baja, and many other gas scooters and go karts on the market. This does not fit the current 2012 X-Racer or Dirt Dog. This fits older models using the 25h chain.